In her new romantic way: A Tough Time to be Twenty? A Tough Time to be Twenty? Ah, these media-frenzied times that we live in. For anyone who picks up a newspaper every once in a while or tunes into the rolling broadcasts that frequent our television sets, it would appear that we are living in the worst times possible. Aren’t we youngsters miserable, stuck living in our parent’s spare room or having nervous breakdowns a la Amanda Bynes? We’re working for free because although we paid an extortionate amount to put ourselves through university, a decent degree doesn’t mean too much these days. We are pretty sure that we won’t be signing up for mortgages until we reach our mid-forties and all whilst simultaneously attempting to pay off our credit card debt. Yes, it all sounds terribly depressing. Ask anyone from the age of eighteen to thirty and they might tell you just how much generation Y has been short-changed. However, it may not be the times that we live in but the access that we have to everyone’s lives. Back in the 1960s when my parents were growing up, times were just as hard. My father worked three jobs just to save up for his first car- a battered vehicle I’m not entirely sure was road-worthy. My mother moved out from her parents house when she left school, into a cold dark flat that she shared with three other girls. Heating was a luxury and they hand-crafted the latest fashions with the help of a sewing machine - thankfully, ra-ra skirts were in fashion that year. Neither of them even had the opportunity of further education, let alone a graduate job. The main difference between their generation and ours? Technology. We live in a media-centred society. When house prices go up, the press take to scaremongering young people that they’ll never have their foot on the ladder. Rolling news of young celebrities in crisis taking drugs are featured regularly. Social media is the worst culprit. Holiday pictures paraded on Instagram, Facebook statuses depicting new job opportunities, exam results posted up for everyone to see. This is an unhealthy glimpse into everyone else’s lives and a terrible temptation to compare your life to others. 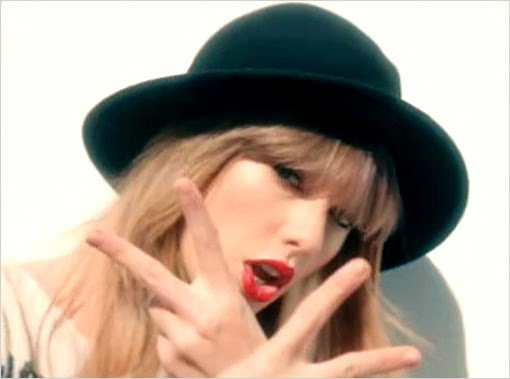 Taylor knows what its like to be 22. Sort of. I’m not suggesting we go back to the good old days. Instead, I think it is time to appreciate just how far we have come. Whilst we don’t have it all, we have much more freedom and choice than those of previous generations. However, with wider choice comes wider ambition. Perfect house, perfect relationship and perfect job all by the time we are thirty? It just isn't possible. Ultimately, our lives haven’t changed. Being in your twenties is still a time of being unsettled and attempting to find yourself in the world. You will make some terrible relationship choices, some wrong job choices, even some questionable outfit choices. It will be a struggle. However, every small victory- be it your first car (paid for with your own hard-earned cash), your first door key (rented or otherwise) or that first big career break will feel even better knowing you have truly worked for it. Honestly? Pour yourself a large glass of wine and give yourself a break - your twenties will be over before you know it.